The Toastmasters club facilitates public speaking and makes it light, fun and enjoyable. If as a professional you appreciate that Public Speaking skills are an essential weapon in your career-building arsenal, then you are at the right place. Be it a meeting among 4 colleagues, where you are asked to give a quick opinion, or a presentation in front of hundreds of people, the Toastmasters sessions help you build the confidence and acquire the skills you need to excel in these situations. A small group of enthusiasts founded the club in June 2010 and since then we have never looked back. The club sessions are based on professional programmes designed by experienced speakers from all over the world, and participants are evaluated against set objectives in these programmes. Members learn by speaking to the group and working with others in a supportive environment. We regularly invite veteran Toastmasters from other countries such as Canada, Australia and Spain to visit our club to provide valuable advice. We meet twice a month - on the 2nd and 4th Tuesdays of every month. The meetings take place in a central location in Santa Venera : MITA Data Centre, Triq Il - Ferrovija, Santa Venera. Registration is at 6:15pm to start at 6:30pm sharp, and the meetings finish off at around 8:30pm. If this is your first time to our website and you would like to attend our next meeting please create an account and confirm your attendance. You should also join our LinkedIn group “Toastmasters Malta”. Alternatively, just get in touch with a member of the club who will be happy to introduce and guide you. Note that creating an account from this site and/or joining the LinkedIn group does not automatically make you a member of the Toastmasters club. In line with the club's efforts to promote better public speaking skills, our PR team is at the moment offering free attendance to anyone who likes our Facebook page (https://www.facebook.com/toastmasters.malta/). This gives you the opportunity to attend a session for free and see how the club works. Guests have an opportunity to participate only if they want to. At each club meeting, everyone may volunteer to participate. The session is divided into two main parts: Prepared Speeches and Table Topics. The real benefit of the club lies in delivering what are called 'Prepared Speeches', where members get the opportunity to deliver 4 to 10 minute speeches on subjects of their choice. These speeches are then evaluated against objectives drawn up by professional speakers from all over the world. The objectives depend on the experience of the speaker. For example, two of the first objectives are having a catchy opening phrase and a good closing remark. As the speaker progresses from one speech to another, objectives change to cover movement, gestures and other more advanced concepts. Guests may volunteer to sample impromptu speaking in the so called 'Table Topics' section. An easy topic will be given to each participant and they must talk for at least 60 seconds, but ideally not more than 90 seconds, about the topic. Everyone gets evaluated against simple objectives such as voice clarity, eye contact, enthusiasm and more. Videos: What is Pathways? & Why is Pathways valuable to you? 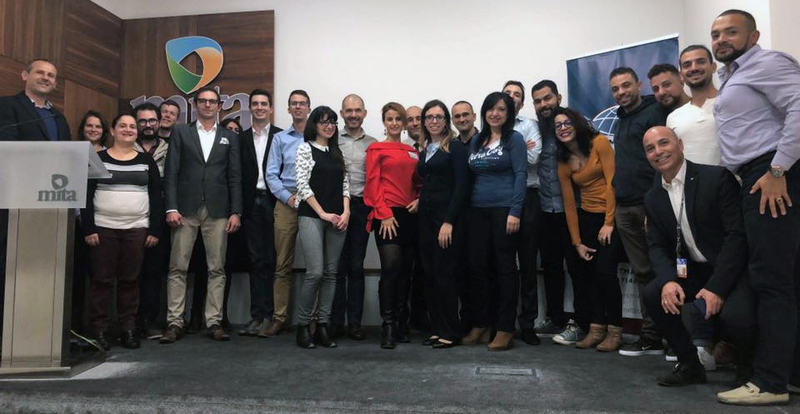 How often does Toastmasters Malta hold meetings? Regular meetings take place every second and fourth Tuesday of each month. (Exceptions can be applied if the 4th Tuesday coincides with Christmas day). Events such as Speech Competition (held once yearly in general) can take place on days different than second and fourth Tuesday of each month. Our official and permanent location is MITA (Malta Information Technology Agency) in Santa Venera. While not required, we do recommend contacting the club prior to visiting it, to confirm the meeting time and location and for the organisers to have an idea about the number of people attending. No. You are not obligated to speak when visiting a club. You may simply observe, if you wish. The meeting lasts around 2 hours. There is no instructor in a Toastmasters meeting. The club will have committee members present and a member who facilitates the meeting. Feel free to approach any committee member. As long as you are at least 18 years old, you can apply for membership in a club. Yearly membership costs 100 Euros. There is a new-member fee of 20 Euros. Ask the vice president membership for a membership application. Headquartered in Rancho Santa Margarita, California, the organization has more than 280,000 memberships in 13,500 clubs in 116 countries.